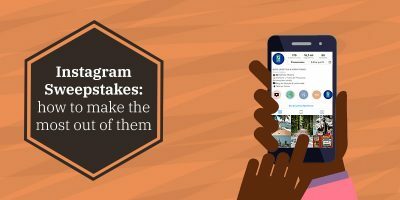 Positioning yourself as a brand on Instagram requires adapting to the algorithm of the social network and following some Instagram tips that will help you to make your profile to not be forgotten. What does the Instagram algorithm prioritize? The social network shows the content in the feed of each user based on their preferences. In this post, we share with you some Instagram tips that will help you to make the most out of your profile. You already know the saying: first impressions count, and they really count. And it all starts with your profile’s biography. This is even more important for Instagram. Being the most visual network, brands take special care of their image on it. User name: The name that appears in your Instagram biography should contain your company name. If someone does not know your user name, they will search for you by the name of your brand. Description: Explain who you are and what your brand does. You must highlight your skills, sector, etc. Also, do not forget to include contact information such as location. Hashtags: Hashtags that you include in your Instagram biography will not link to anything. Therefore, we recommend that you do not waste space by including them in your biography. External link in the bio: This social network does not allow links to be included in the posts themselves and only some profiles can add them to stories. Therefore, consider your social media strategy on Instagram and the goals you want to achieve when including this link to another social network, your website, your blog, a specific product… How often you change it depends on you. Style: Define your style and try to be consistent, always using creative content that fit it and your brand identity. Quality and simplicity: Instagram users look for images that are visually pleasing. Go for images and photographs that are well lit, and clean and simple. Less is more! On the other hand, simple copies can help you highlight what you want to represent. Colors: Your corporate colors will be a very good asset when making the creative content and compositions that you post on Instagram. Variety: Alternate, for example, images in which you show your products and services with others in which you inspire engagement or invite users to interact with your brand. Size: If you want to get the most for your brand, these are the sizes of the images. Video marketing is gaining more and more supporters and, therefore, you should not forget about it when it comes to establishing your Instagram strategy. In addition, they are a fun and original way to give your profile a vibe. You can upload videos up to 60 seconds long and use filters to customize them to your liking. You can also edit each segment and choose the parts that are most representative or interesting for your audience and add hashtags to increase its reach. You can record them live or upload them from the gallery or reel of your phone. These keywords with which a publication is tagged help to classify it in a specific topic and for users to find publications related to their interests through their searches. Using hashtags correctly in the social network for images is fundamental for a good brand strategy. The tags you use in your posts must always be relevant to the content of the publication. Although Instagram allows a maximum of 30 hashtags per publication, there are rumors that its algorithm is already penalizing those who use more than 10 or continuously repeat them, especially if these are not relevant, so keep an eye on this. Original and unique: if the hashtag is exclusive for your event or brand. Create a new hashtag that has not been used on other occasions to ensure that the conversation generated around the tag does not mix with others. Contextualized: it is important that the hashtag makes sense within the context of the message and the campaign you want to launch. Standard characters: we recommend that you avoid using these in your hashtags, as well as symbols. This way, you make sure that your tags work well and you will avoid duplicating data. Geotags are probably, along with hashtags, the most important way for your images to get the visibility you’re looking for. These geotags that you add to your photos record the location in which you took it through their coordinates. This way you can include your photo on the map. Show your products and services through a post with geotags on Instagram. Encourage users to create their own UGC (User Generated Content) on your site and add their geotags. Create a gallery from a specific geotag. 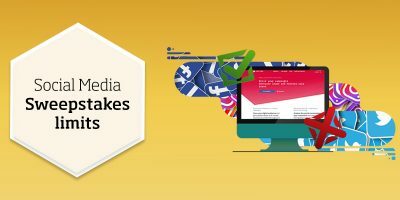 At present, many users do not even stop to look at the feed of publications, but they opt for the stories to keep abreast of what other users publish, as well as the latest news and brand updates. One of the advantages that Instagram Stories has for brands is that users’ feed is not invaded. If someone wants to see a story created by your brand, they will do it voluntarily or they will give it a miss. This generates great loyalty and interest from the audience. Another thing that Instagram users demanded was more natural and fun content. Seeing the results that your stories are getting is easy since Instagram reports the statistics of the people who are interacting with your content, as well as the reach, impressions, un-follows, and replies, as well as other data. This gives you the possibility to discover which of your stories arouse greater interest, test content, reinforce some and get rid of others. And it’s free! Companies can label one or more products (up to five) in a publication, just as a person is tagged. More than 200 million users visit brand profiles daily, so it’s an opportunity you cannot miss. Have a Fan Page on Facebook. Have published at least 9 posts. Have downloaded the latest version of Instagram. Sell physical products on an official website. Integrate your catalog on Facebook through an application such as Shopify. Users can directly click on a tagged publication or click on the publication and obtain more information about the price and details of the product in which they are interested. Afterward, and simply by clicking on “Buy”, they will access the brand’s website or eCommerce page. 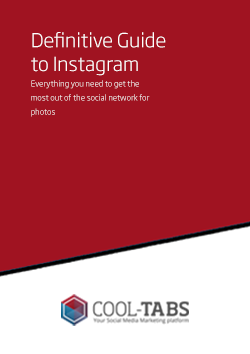 To maximize their potential and reach the top, you also perform specific campaigns on Instagram. The competitions, promotions and online draws on this social network are a strategy that should not be missing from your marketing plan. 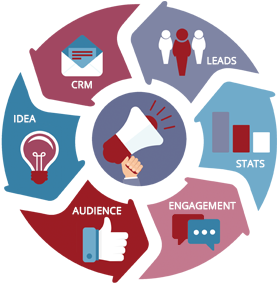 You can get to know your target audience better, generate leads and accompany them throughout the purchasing process, generating new customers for the brand. 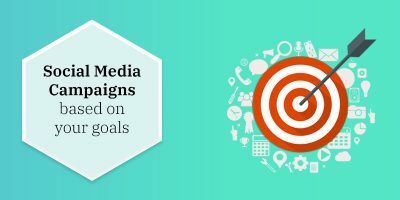 Choose the goal for your campaign on Instagram Depending on the objective you want to achieve with your campaign, you should choose one type of promotion or another. Photos: they are simple but very visual. Videos: you already know that they can last up to 60 seconds. Carousel: you can include up to 10 videos or images, which the user will see one after the other. Produced content: it’s a mix of video and images. You will get the effect of a video, but with the convenience that you can upload images to which you can add text or audio. Stories: choose this type of ad can be a very good option, despite the fact that it is available temporarily. As you can see there are many facts you need to pay attention. But, we encourage you to make the most out of your brand Instagram profile. Don’t hesitate to leave us your comments.